Why Am I So Sore After Working Out? 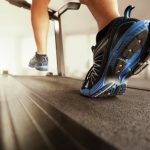 You may have a grueling spin class session, or a boot camp class and after wonder, “I get that I’m sore—but why am I often more sore two days after my work out?” Your sore and tight muscles the next day (or even hours after a workout ends) is largely attributed to the tear of your connecting tissues and muscles that you exerted. That soreness that you experience after your personal trainer makes you do lunges back and forth for ten minutes, or do bicep curls until your arms feel like they’re weightless will create soreness. However, your body is designed to ease you into the pain—which is why, you often feel more sore two days after your workout than you do the day after. In fact, studies show that soreness begins around 12-24 hours after your workout, and peaks at 24-72 hours. Why does it peak two days in? Because of something called DOMS (Delayed Onset Muscle Soreness). When you work out hard (especially with a challenging workout after not working out for quite some time), your body develops inflammation. The soreness becomes worse, because of the pain that inflammation brings on, as a result of torn muscles and tissue rebuilding itself. • Enjoy a nightly soak. Forget the shower, and opt for a relaxing bath instead. Water is, in itself, a natural calming agent, and when you let your muscles rest in a steamy tub for about twenty minutes a night, you’ll sooth your mental and physical state. • Invest in a foam roller. Foam rollers are an inexpensive and gentler approach to massage, but with all the same benefits. For just a few dollars, roll out your pain—wherever its hitting you most. • Take that fish pill! Omega-3’s has shown to ease the discomfort related to inflammation. Take one pill daily, and get relief. Once your pain begins subsiding, you can resume your workout. If the pain is still quite uncomfortable, listen to what your body is telling you, and go easy! Walk instead of run, limit your weights, and if the pain becomes uncomfortable, give yourself an extra day off.